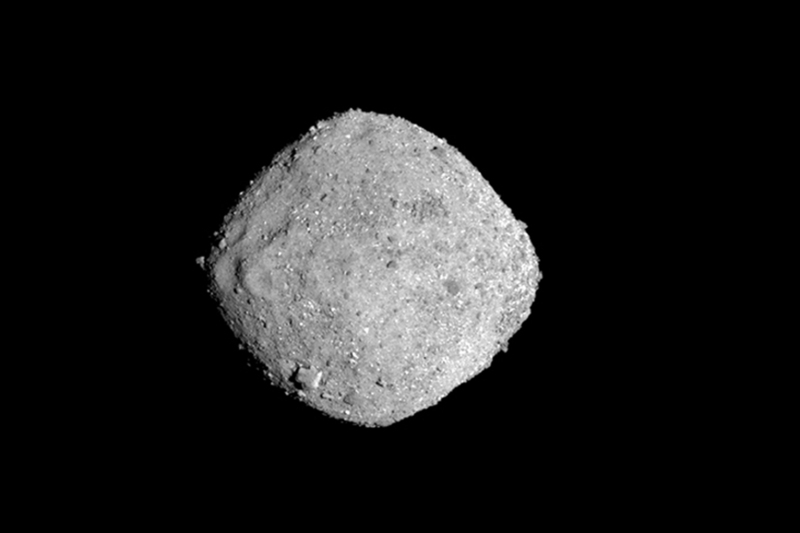 This Nov. 16, 2018, image provide by NASA shows the asteroid Bennu. After a two-year chase, a NASA spacecraft has arrived at the ancient asteroid Bennu, its first visitor in billions of years. The robotic explorer Osiris-Rex pulled within 12 miles (19 kilometers) of the diamond-shaped space rock Monday, Dec. 3. The image, which was taken by the PolyCam camera, shows Bennu at 300 pixels and has been stretched to increase contrast between highlights and shadows.